Considering Gloriosa superba’s big, showy blooms, which bear an uncanny resemblance to flames, a novice gardener might expect the perennial to be finicky—the type to perform only if tended by the greenest of thumbs. But no, while the “flame lily” is surely a drama queen, she isn’t that fussy. Climbing a trellis, fence, or shrub with tendril-tipped leaves, she’ll reach six to nine feet high each growing season, offering up blossoms all summer. However, as with all flames, caution is a must: this tuberous herb is highly poisonous to people as well as pets. Take that into consideration before bringing it into your landscape. April is a great time to plant this stunner. First, select a site that receives six to eight hours of sun and has rich, well-draining soil with a pH of 5.8 to 6.5. The lily will need something to grow up—you might try a large, upright shrub, which will help insulate its tuber in the winter. Loosen the soil and dig a hole four inches deep. Place the tuber in horizontally, then cover with soil and add water. 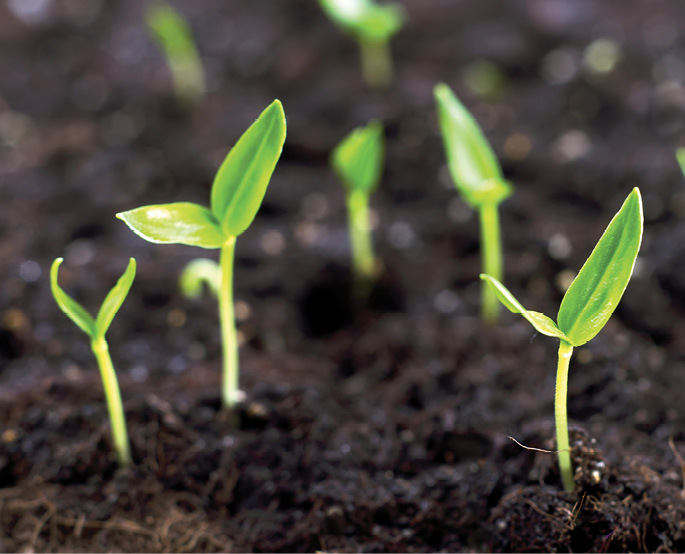 Given about an inch of agua per week, shoots should emerge in approximately 14 to 21 days. Once the flame lily begins to flower, clip off the blooms regularly—not only for filling vases, but to encourage new growth. After fall’s first frost, remove brown foliage and look forward to watching this beauty blaze back to life come spring. Ask an Expert: I have been told to add compost to the soil in my raised beds. Can I just use a liquid fertilizer instead?